U.S. good and services trade with Mexico totaled an estimated $580 billion in 2016. Imports were at $317.6 billion. Mexico was the United States’ 2nd largest supplier of goods imports in 2016. One of the top export categories in 2016 was vehicles at $68.6 billion. This included $21.8 billion worth of passenger vehicles and $20 billion worth of vehicle parts. U.S. foreign direct investment (FDI) in Mexico (stock) was $92.8 billion in 2015. Canada is Mexico’s third largest trading partner. Canadian investment in Mexico reached over $14 billion (stock) in 2015. Mexico has been identified as a priority market for Export Development Canada (EDC). Mexican exports account for 34% of all trade in Latin America. Mexico has free trade agreements including NAFTA with 44 countries. Guanajuato – where El Grande is located – has 17% participation of the automotive value. Over 70 Japanese countries and 25 German countries have invested in Guanajuato. By 2020, Mexico will become the fifth largest vehicle producer in the world. Alongside these growing international markets and increased sales, Mexico itself has proven to be a hot market in recent years. 2016 saw a record year of car sales in Mexico with over 1.6 million units sold. This is was an 18.6% increase compared to figures from 2015. Luxury brands such as Audi, BMW, and Mercedes Benz also saw a meaningful amount of increased sales. Mexico’s location is key to its vital role in the global economy. With efficient access to an International Distribution Network including NAFTA highways, railways, international airports, and seaports, Mexico offers ease of access to the U.S., Canada, Latin America, and all other international countries. Manufacturers can react quicker to production or operational issues because of their proximity to corporate offices. Manufacturers can provide faster response time and delivery to consumers and distributors. Recent federal investment in transportation infrastructure and telecommunications has lowered costs for manufacturers. Companies can easily reach and grow into South America. Fast response manufacturing is only one of the benefits of expanding your manufacturing company into Mexico. Another major advantage frequently noted is the low cost of doing business in the country. Labor costs in Mexico are substantially lower in comparison to the United States and China as well. With productivity rates rising and labor costs declining – alongside reduced transportation costs versus China – Mexico offers the greatest opportunities for businesses seeking to expand, lower overhead, and increase profits. Lower energy costs than China. Lower transportation and warehousing rates in comparison to China. Access to an educated workforce in the Bajio region with 5,000 engineering/technical graduates per year. Expertise in the auto industries improves productivity, quality of product, and reduces waste. 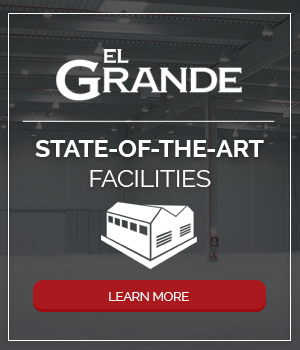 El Grande is situated in the Bajio-region of central Mexico, an area recognized for its high-quality of life, safety, and dynamic economic growth. Over the past decade, billions of dollars have been invested in the region from well-recognized automotive and aerospace manufacturers such as Honda, Audi, Volkswagen, GM, Nissan and many other tier one, two, and three suppliers. The Bajio region has seen higher than average economic growth rates and is the leading economic sector in the country in the automotive and aerospace clusters. Recent developments have included the consolidation of the local GM plant, the construction of a BMW plant and a Goodyear plant, the expansion of Draexlmaier, and the installation or expansion of over 30 other companies in San Luis Potosi alone – a large city within the Bajio industrial district. El Grande is located in the south-eastern corner of this region, less than 30 miles (48 km) from the city of Queretero and within a few hours drive from 4 other major urban areas including the cities of Guadalajara, Aguascalientes, San Luis Potosi, and San Juan del Rio. This centralized location provides easy access to NAFTA highways to the Texas border as well as to seaports, cross-docks, and international flight routes.